Sculpture in the City, the City of London’s annual public art programme set amongst iconic architectural landmarks, announces 16 artworks as part of its 2017 programme. 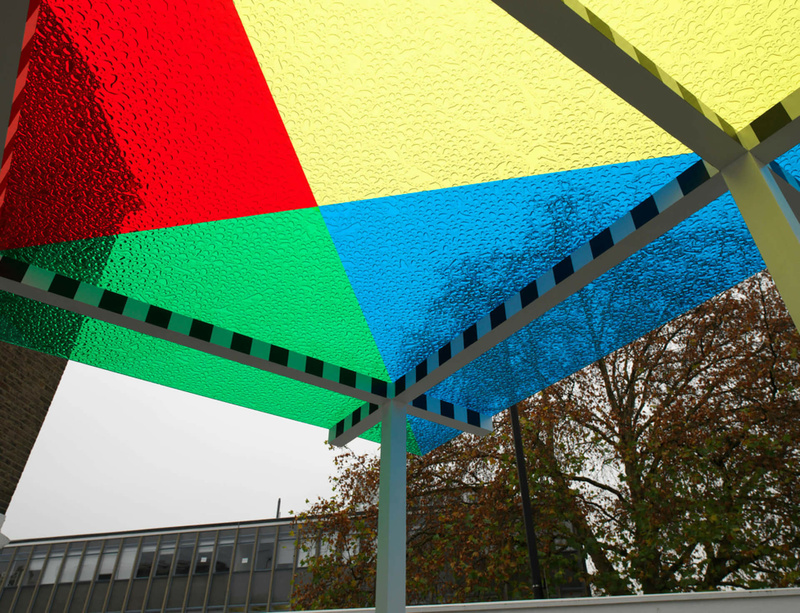 The initiative, which is a collaboration between the City of London Corporation and City businesses, launches on 27 June and features work by Daniel Buren and Ryan Gander. For Sculpture in the City’s seventh edition, the art works are spread further than ever across the Square Mile, including installations at six new locations, and range greatly in form and scale. This year the scheme expands its locations, with works like Daniel Buren’s 4 Colours at 3 metres high situated work (2011), located to the eastern City in front of the newly completed One Creechurch Place, allowing visitors a meditative moment and sensorial escape from the City. Accompanying this will be Ryan Gander's Never has there been such urgency, or The Eloquent and the Gaga – (Alchemy Box # 45) (2014), an air-dropped parcel suspended from a tree by its parachute located outside Hisccox offices at 1 Great St Helen’s.